Eve's Requim, Aiofe’s Kiss, and Anotherealm. Three of Wendy's mystery stories, including "What are the Odds?" "Borrowing Trouble," and "First, Dig Two Graves," have appeared in Alfred Hitchcock Mystery Magazine. 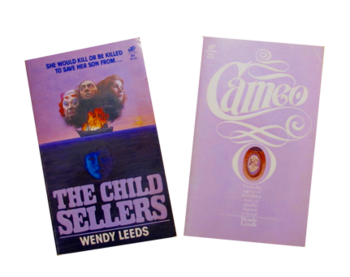 Wendy's first two novels of romantic suspense, Cameo and The Child Sellers were published by Dorchester/Tower/Leisure Press. "The Boneslayer," published in Aoife's Kiss. "The Last Laugh," published at Anotherealm.